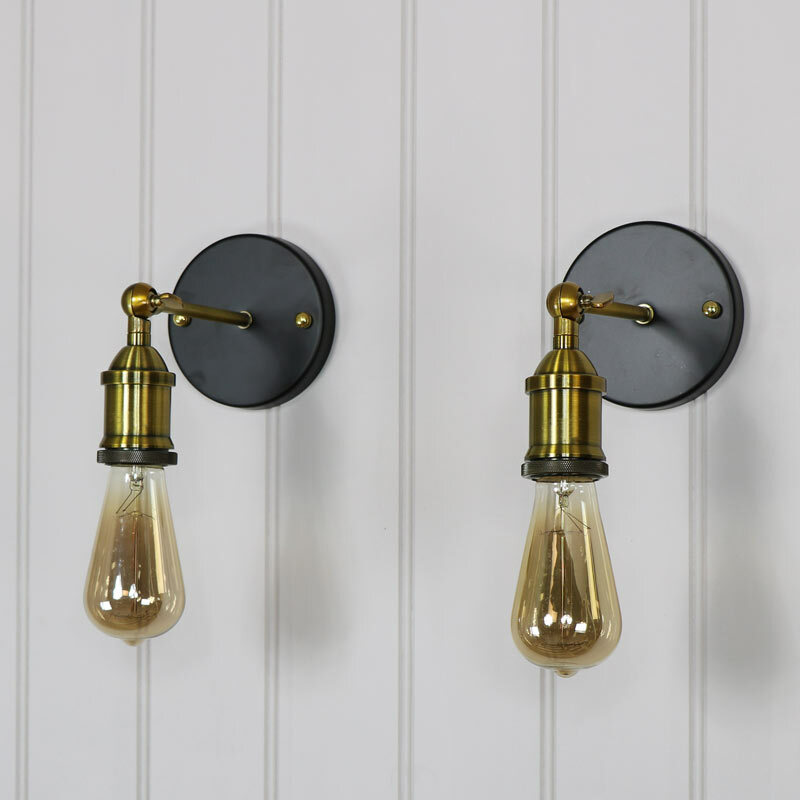 Add a retro industrial theme to a living room or hallway with this pair of adjustable wall lights. 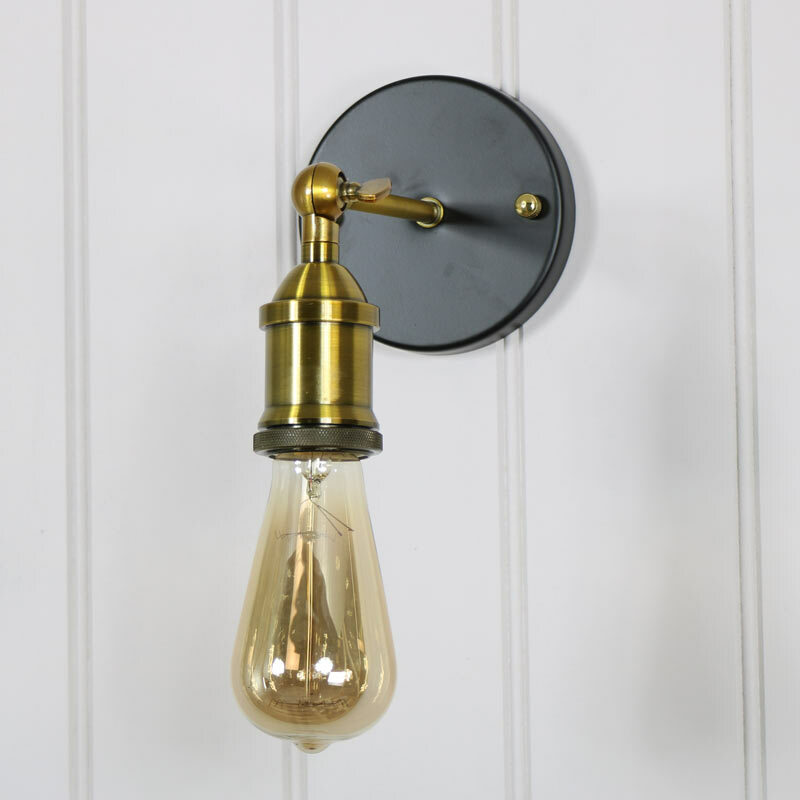 Brass light fittings that will help to create a vintage look in your home. A great retro look that will suit many interiors. In a set of 2 that can be used together or individually. They feature an adjustable neck so you can angle the light at just the right height. Perfect for use in the living room, hallway bedroom or kitchen. These light fittings would add even more of an industrial look with the addition of an Eddison bulb. Add a retro industrial theme to a living room or hallway with this pair of adjustable wall lights. 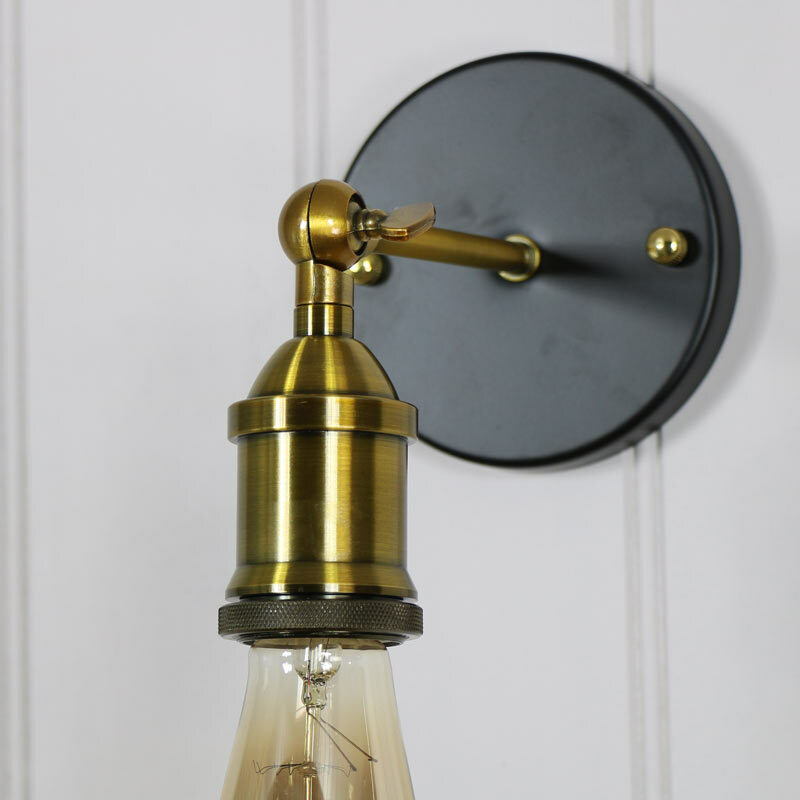 Brass light fittings that will help to create a vintage look in your home. A great retro look that will suit many interiors. In a set of 2 that can be used together or individually. They feature an adjustable neck so you can angle the light at just the right height. Perfect for use in the living room, hallway bedroom or kitchen. These light fittings would add even more of an industrial look with the addition of an Eddison bulb. With our fantastic range of lighting you can light up your home is style. With many styles and designs to choose from.